When Nietzsche meets Lou Salomé, he feels he has found 'a voice, for which I have waited and waited since childhood'. One year later, he has retreated to a remote mountain village, madly scribbling Thus Spake Zarathustra. And advising men to take a whip, when they go to women. 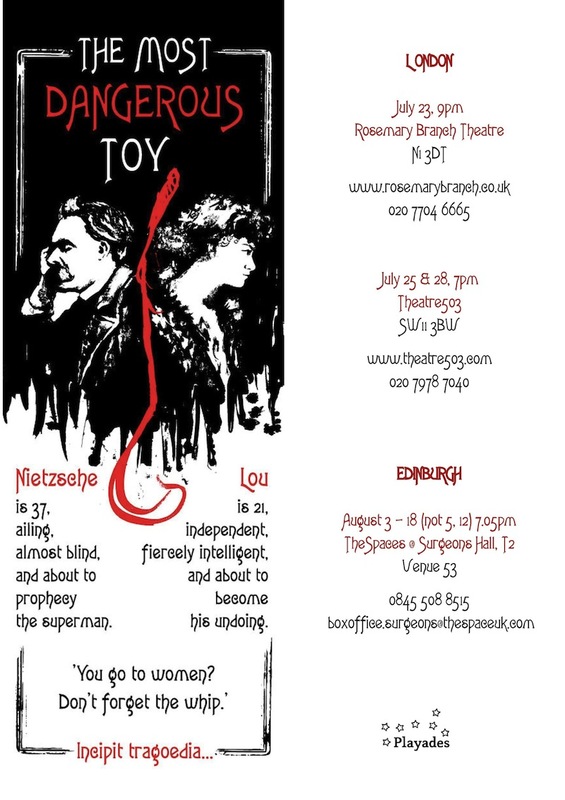 Working exclusively from original texts, Playades Theatre Company explores what happened in that seminal year of 1882: philosophy versus reality, society versus individual fulfillment, man versus woman - and the hunger for life and knowledge that surmounts all contradictions.